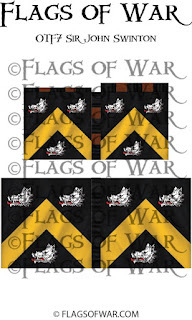 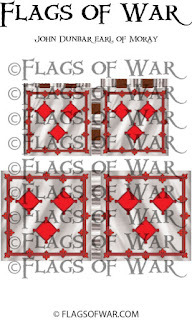 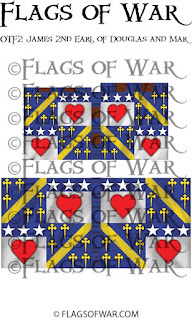 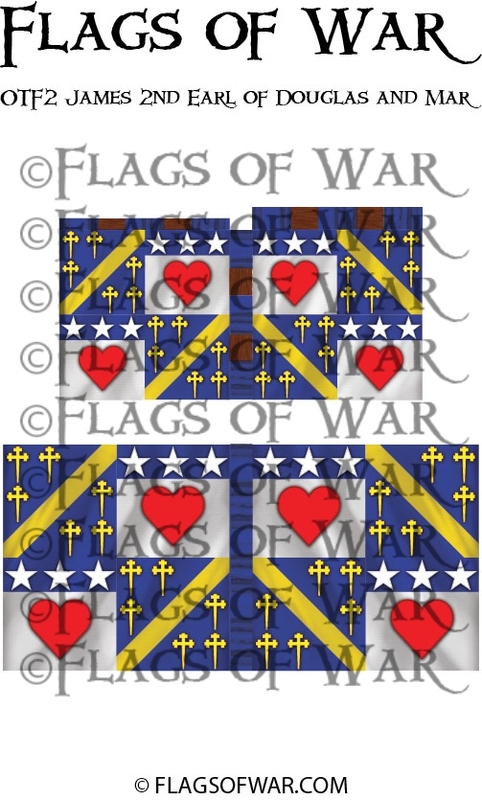 Here is the first selection of flags for the various Knights at the Battle of Otterburn 1388. 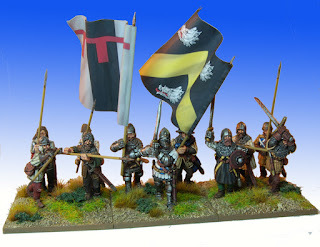 They have been made to go with the fantastic Claymore Casting Figures for the period which can be viewed at http://www.claymorecastings.co.uk. 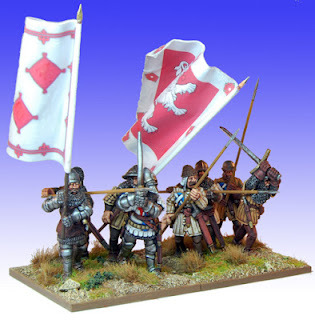 We will have alot more for the range to come along with some new shield transfers for the figures as well. Some of the flags in action. 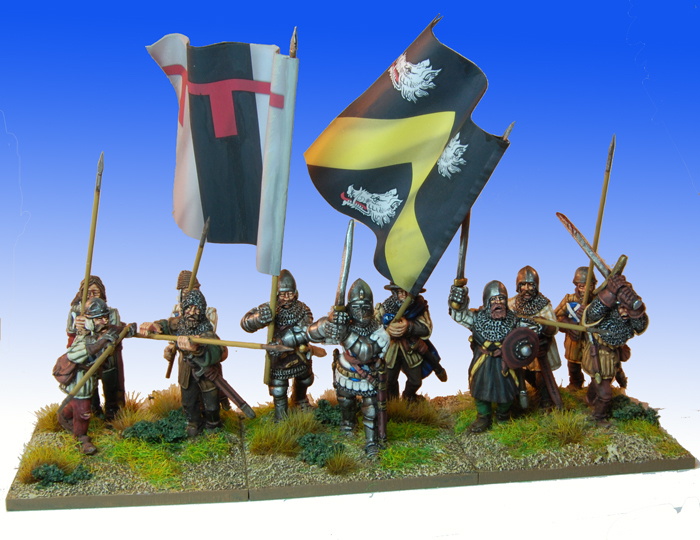 Figures painted by the guys at Claymore Castings. 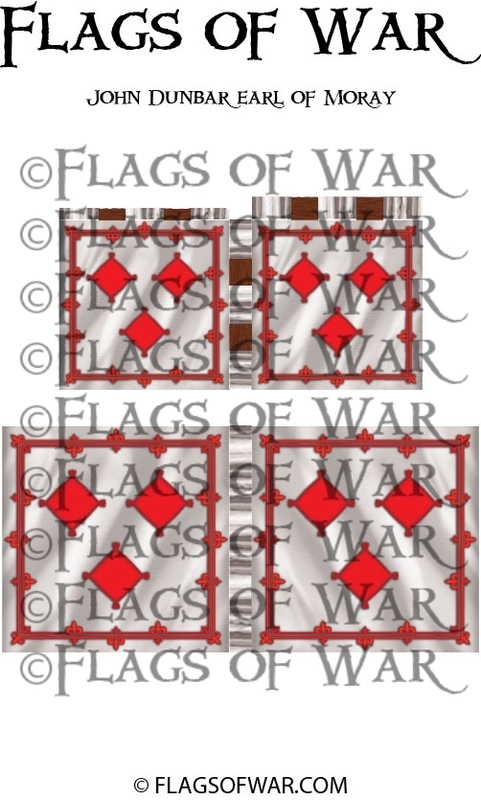 sweet work, keep up the great work. Some banners present at the battle will be suitable for the third Barons war also(lords Appellant). 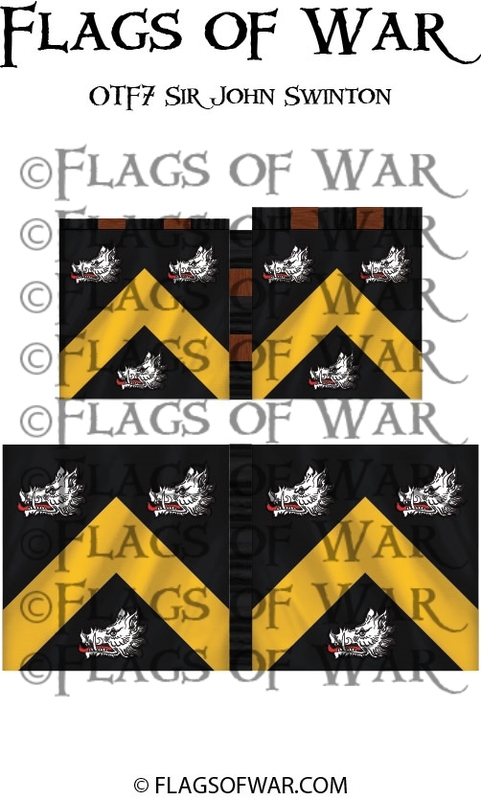 Makes me wish I had the figures to go with the flags!!!! 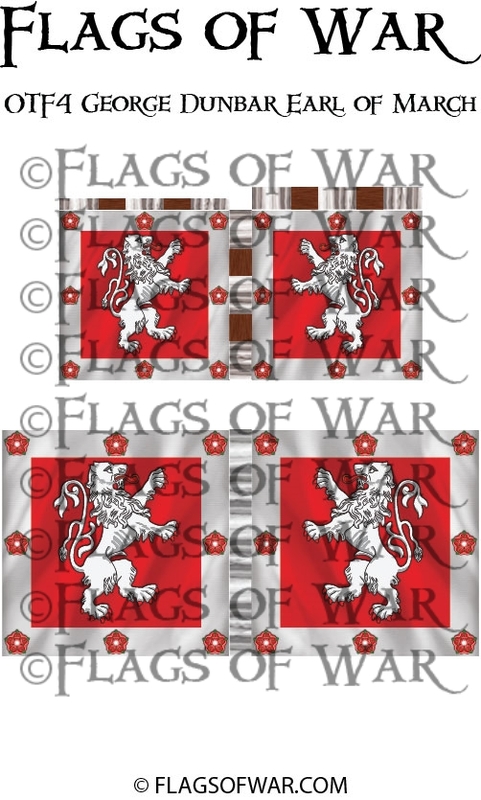 What a wonderful unit...and flag!